While he didn’t see the pitch for Portland in the Timbers 1-0 loss to Toronto FC on Saturday, Will Johnson was nonetheless one of the most positive stories to come out of Portland’s only visit to Hogtown in 2015. After enduring the a horrific leg injury at BMO Field eight months ago, the 28 year old midfielder is now back to full fitness and again available for selection by Timbers Head Coach Caleb Porter and Canadian Men’s National Team Head Coach Benito Floro. According to the Canadian International, his return to full fitness was far from easy and was something that took both mental strength and physical conditioning to come back from. Even though he did not play against Toronto on Saturday, the Toronto-born midfielder has now played three matches for the Portland Timbers USL side and he is happy to pronounce that he is back to 100% physically. Prior to his injury, Johnson was arguably at the peak of his powers, captaining a very competitive Timbers side and being a core player for the Canadian Men’s National Team. According to the Blackburn Rovers youth product, his next step now involves earning the chance to play regular minutes at a high level with his club towards getting himself back to the level that he was at prior to his injury. In addition to his desire to again cement a place in the Caleb Porter’s starting eleven, the Canadian International is also focused on earning a place with a Canadian Men’s National Team squad now lead by Benito Floro. The 34 times capped Johnson has not yet played under Floro, but he is both excited about that prospect and buoyed by the progress that Canadian national team has made over the last couple of years under the leadership of the Spaniard. 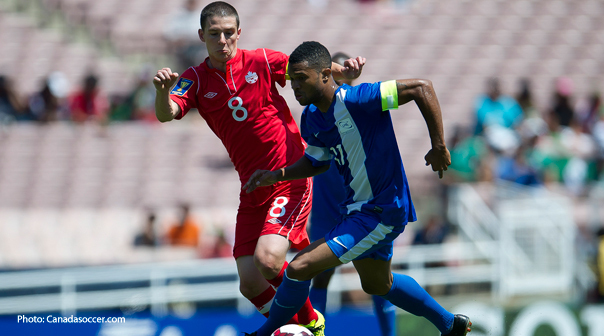 As looks forward to hopefully excelling under Floro as part of an on the rise Canadian squad, Johnson was candid in stating that, in addition to utilizing the expertise of the team’s highly regarded coach, the Canadian team must build on both the good and bad experiences the team endured over the last several years at the International level.